In the market for a new car? Maybe just thinking about it? If you’ve done any reading or looking at all, the move to smaller vehicles is obvious for a variety of environmental and legislative reasons and issues. Result? There’s a bright spotlight by most automobile manufacturers to design and manufacture smaller vehicles at all levels of vehicle attributes and prices. 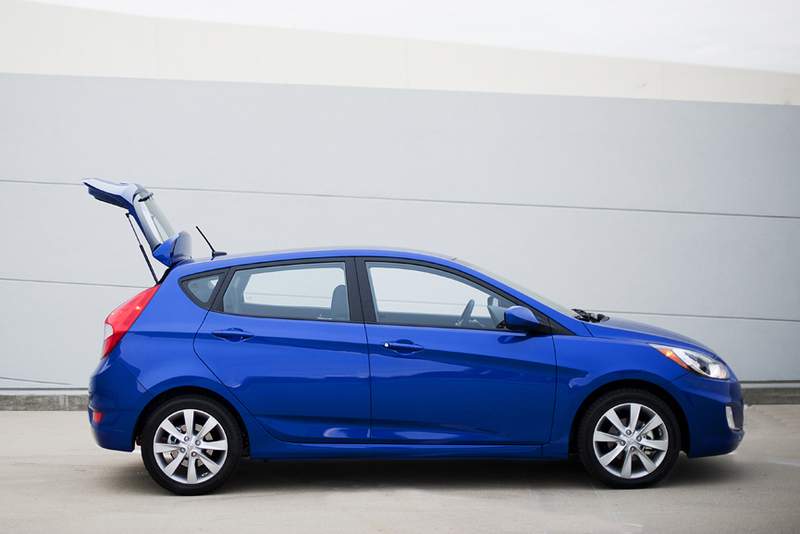 But when the EPA says your entry – as in the new Hyundai Accent -- is too big to be called a subcompact because it’s a compact car, that’s a significant move up the car class ladder. That’s accenting the positive. And this reminded me of the Harold Arlen and Johnny Mercer song, Accentuate the Positive, an Academy Award nominated song from the middle of the last century whose lyrics noted you’ve got to … Ac-cent-tchu-ate the positive! Putting the Accent through its paces on the recent drive from the Las Vegas Strip to Boulder Dam provided a short, but reasonable opportunity to experience the Accent in city traffic along with highway and freeway driving. Driving in the The Strip’s always clogged traffic and it’s maddeningly long lights was as expected and certainly acceptable. If you’re expecting a speed demon in the Accent, don’t. It’s quick to respond and has more power than most subcompacts, but like its competitors none are going to set 0 to 60 records. The drive route included flat and hilly roads some straight like arrows, others curvy and winding but there was no noticeable body roll or sway on the latter. The ride was comfortable, handling crisp and responsive with the electric power steering. The Accent is not just quiet, it’s very quiet even in sometimes windy conditions which is unique in these smaller vehicles. Safety standards are maintained with the six front and side air bags. There’s a new vehicle stability management which integrates electronic stability and traction control (ESC) and other techno-wonders. The bodyframe of the Accent uses a collision load dispersal mechanism to absorb impact energy in a crash to protect occupants of the car. Optional hillside assist is available. 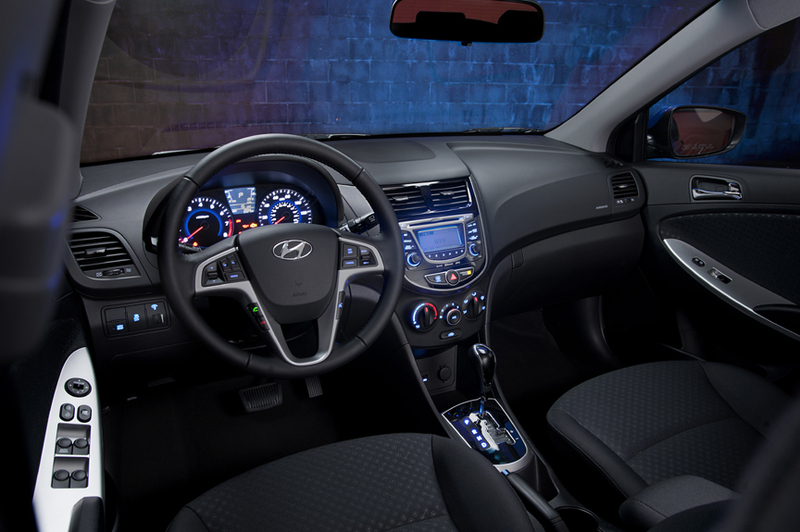 The interior space of the subcompact Accent reaches compact car amenities, features, storage space and other goodies including power door locks, tailgate power door lock, keyless entry, several of cupholders, 12-volt outlet, and a sliding armrest storage box. 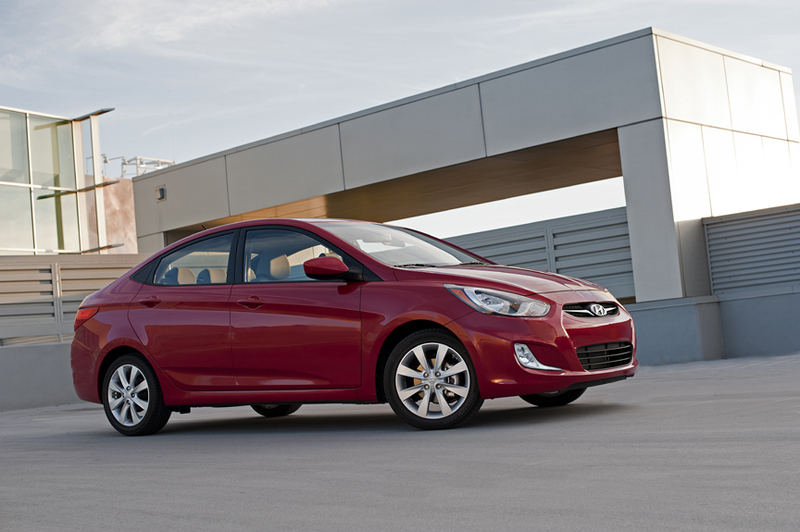 This is a very good package of accents for the Accent which was the leader in subcompact sales in the month of August. Prices start at $12,445 which is really plain and moves up the price ladder to the top-of-the-line at $16,795. A few bucks more than some in the subcompact arena but remember you’re getting big car attributes. And that too is accentuating the positive and eliminating the negative. At dealers now.